At Conestoga Buildings, our team’s Lancaster, PA roots are deeply connected to the farming and equine lifestyle. 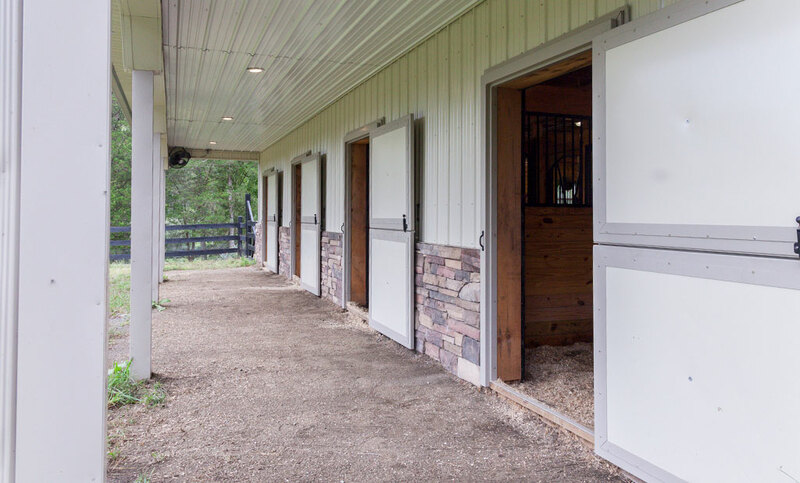 We recently brought our combined experience with custom equine buildings and pole building construction to a farm in New Jersey where we helped construct this beautiful barn. 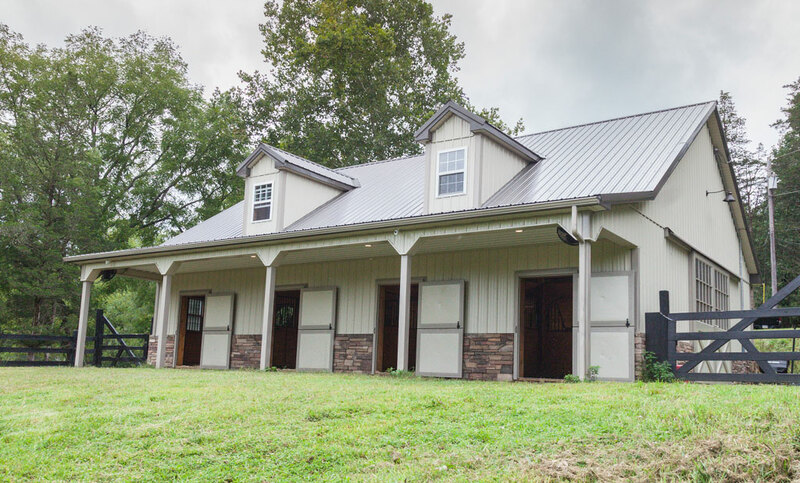 Our team of custom barn builders created a one-of-a-kind equine structure that gave the owners a safe and comfortable space for their horses to live, work and play. And, created a welcoming atmosphere through custom details that made the barn an easy-to-use, beautiful and comfortable place for the owners to enjoy the work they love. The barn’s exterior was a stylish cream-colored siding with brick base. The main entrance featured sliding doors that tower to nearly two-stories tall, creating a huge space for horses and humans to come and go safely. The backside of the building included four stall doors, a roof overhang to keep horses dry, and beautiful second floor windows protruding from the roof adding visual detail and extra ventilation during the hottest months. 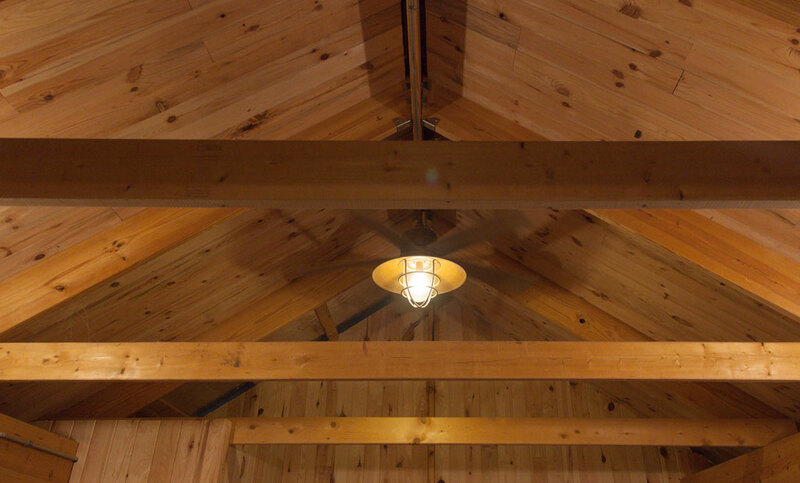 Inside, richly knotted pine paneling and ceiling lights gave the barn a bright, well-lit feel. Each stall was constructed out of solid wood and featured beautiful wrought ironwork. 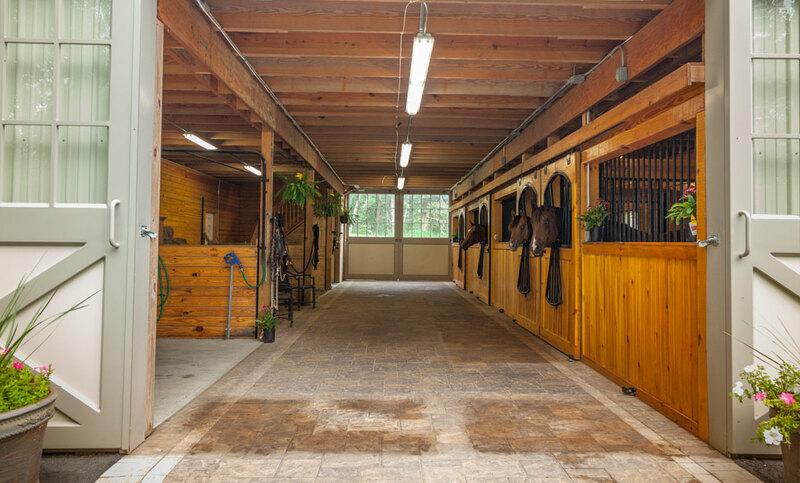 And, the stone walkway through the barn gave an added touch of luxury to this beautiful and highly functional equine space. 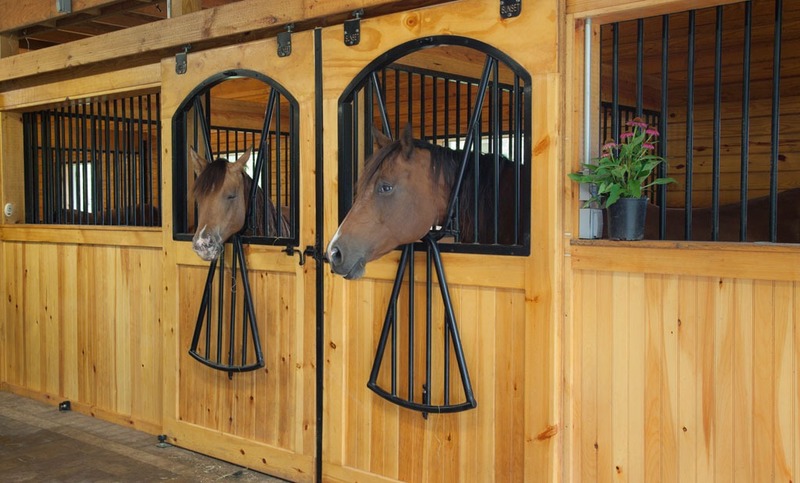 Let us show you how truly customized an equine space can be. 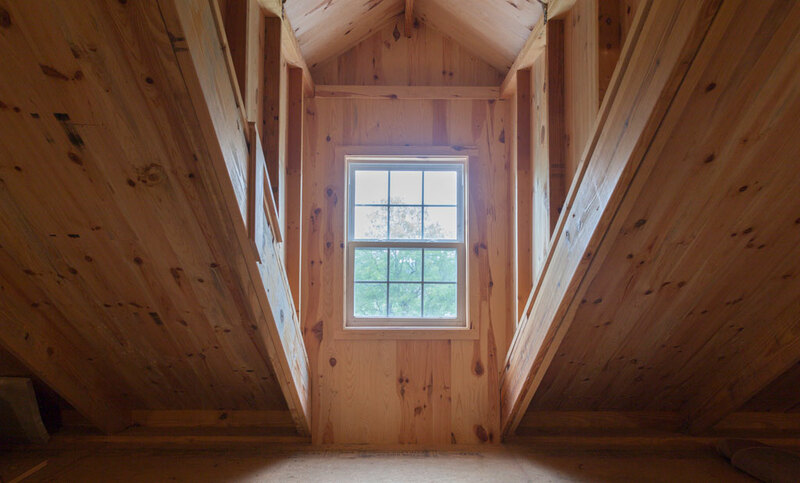 Our design and building team is ready and waiting to help you bring the barn of your dreams to life. Contact us today to learn more.